In the trade dispute with China, the United States has repeatedly called out the Chinese regime for its state-sponsored development of advanced technologies—accusing Beijing of undermining fair competition while justifying the theft of foreign technology to serve national interests of becoming a high-tech manufacturing powerhouse. The industrial plan “Made in China 2025”—which proposes gearing China toward achieving self-sufficiency in 10 tech sectors by the year 2025—was cited repeatedly as evidence of Beijing’s aggressive ambition. In late June, China decided to tone down the nationalistic rhetoric as President Donald Trump’s punitive tariffs on Chinese goods loomed closer. An internal directive from China’s central authorities—leaked to Taiwanese media—instructed Chinese media not to mention Made in China 2025, “otherwise, punishment will be dealt.” Several state media journalists also confirmed the existence of such instructions to Reuters. With the word out on Made in China 2025, Beijing is now switching to a new ambitious strategy: China Standards 2035. In January this year, state-run media Xinhua first made mention of this strategy with a short article that largely went unnoticed, about a national conference on IT industry standards. To dominate cutting-edge technologies like artificial intelligence (AI), cloud computing, IoT (internet of things), and big data, China intends to accelerate efforts to develop technical standards, eventually exporting them to the international market, the report said. While global technical standards for these technologies have not yet been established, “this is the golden opportunity for our country’s industries and standards to realize the goal of ‘overtaking by changing lanes,’” the report quoted an official from China’s national technical committee, the Standardization Administration, as saying. That metaphor is commonly used in China’s state-run media to describe finding shortcuts to surpass other countries and become the leader. Many of these tech industries, such as internet of things (IoT)—smart devices that can connect to the internet—have a string of international standards bodies that oversee intellectual property ownership, production and security standards, and more. To wield greater representation—and thereby, influence—over international standards bodies, China has already strategically increased its market share in these tech fields. By making China’s technical standards the international standard-bearer, China would no longer need to rely on foreign technology. Furthermore, it would allow Chinese companies to gain economic advantages, as once firms in other countries are pressured to conform to the global standard developed by the Chinese, they can “sell their products more broadly or earn royalties from licensing their standards-compliant patents to manufacturers that develop devices under that standard and other downstream companies,” according to a newly published U.S. congressional report on China’s dominance in the IoT industry. The report had warned of the risks for security vulnerabilities to be exploited by Chinese entities. Self-reliance and the need to develop domestic technologies has especially been a talking point for Chinese leader Xi Jinping of late—given recent troubles relating to the trade dispute with the United States. When the U.S. administration banned Chinese telecoms giant ZTE from purchasing parts and software from U.S. suppliers earlier this year, the ban had brought ZTE’s business to a standstill. The firm had primarily imported its semiconductor chips from the United States. To achieve its China Standards 2035 goals, China has been luring many Taiwanese contract manufacturers to partner with Chinese firms in AI, IoT, and other tech industries, according to an Oct. 23 report by CommonWealth Magazine, a Taiwanese publication. 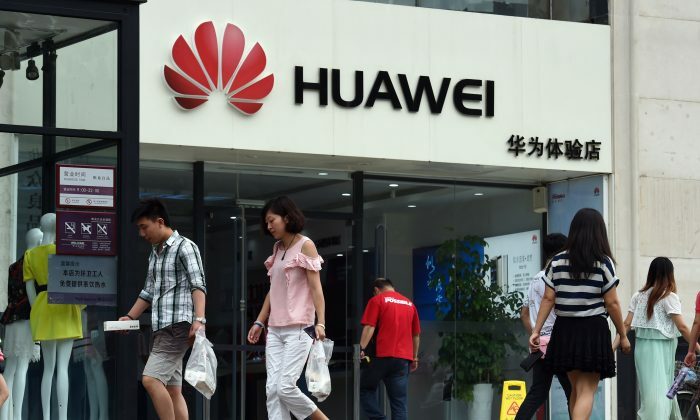 The magazine also named TSMC, Largan Precision, and Compeq Manufacturing among a list of partners with Chinese telecoms giant Huawei, which announced in October that it had developed two new chips for AI applications, the world’s first examples. At the summit where the chips were unveiled, Huawei made clear its intentions to dominate the next generation of technical standards for AI chips. It is not a coincidence Huawei has developed 5G technology—the next-generation of wireless networking—intensively and is set to become a global leader in the field. After all, AI, smart devices, cloud computing, and other fields rely on 5G infrastructure to provide faster and more reliable connectivity. China has adopted a “whole-of-country approach that has created an entire ecosystem for domestically manufactured 5G technologies and furthered their inclusion in international technical standards. 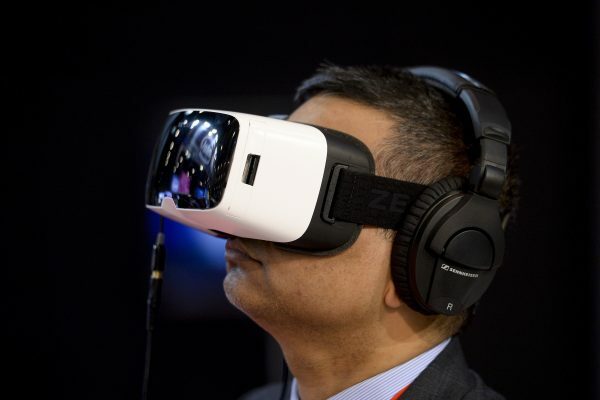 With ten times the 5G sites per person as in the United States, China appears likely to lead early 5G deployment,” the U.S. congressional report said.